The Internet retailer wanted to extend the season of their themed costume business beyond the core month of October. 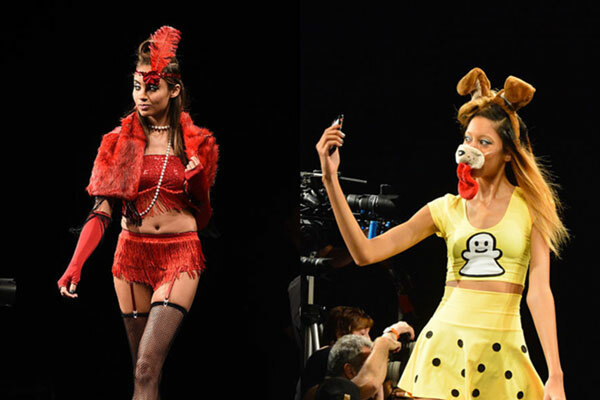 The Bromley Group utilized New York Fashion Week (NYFW) as the platform to stage the world’s first Halloween runway show as part of the official show calendar of NYFW. Professional models were cast to walk the runway in costumes from the brand’s extensive range to the raucous sounds of appropriately themed music while guests enjoyed trick or treat Jack-o-Lantern buckets full of candy & Yandy product. Costume themed editorial pitches were then planned in the months following Halloween to highlight the Yandy.com product mix (lingerie & swim) beyond just the costumes of the Halloween season. Celebrity seeding was also employed during the month leading up to Halloween as well as during the music festival season across the country. The Yandy.com brand has received 2+ billion impressions this year alone on not only its Halloween costumes, but on its core business of Lingerie & Swimwear. The brand extended its runway commitment to showing its Swimwear collection the following show week to a huge success in the media in long lead, celebrity & the all important digital short lead realm, which is essential to an Internet brand’s marketing efforts.